Two Sundays ago Pastor Rol did a sermon called, “Welcome to the Wedding.” And just yesterday we finished up using Perry Noble’s series “Don’t get Married Until…” with our youth. These past few weeks I have really been thinking about the imagery God uses to teach us about our relationship with him. And now that we have Hannah I am seeing more and more that the life experiences God has set up are a way for us to understand him better. For Pastor Rol’s sermon he asked a friend of mine to wear her wedding dress at the end of the service and we all stood for her entrance into the sanctuary. I was first of all super excited to get to see her in her gown because on her wedding day Tim and I were in the hospital meeting Hannah for the first time. And then as she stood up front and the words of the sermon started to stick I couldn’t hold back my tears as we worshiped God. 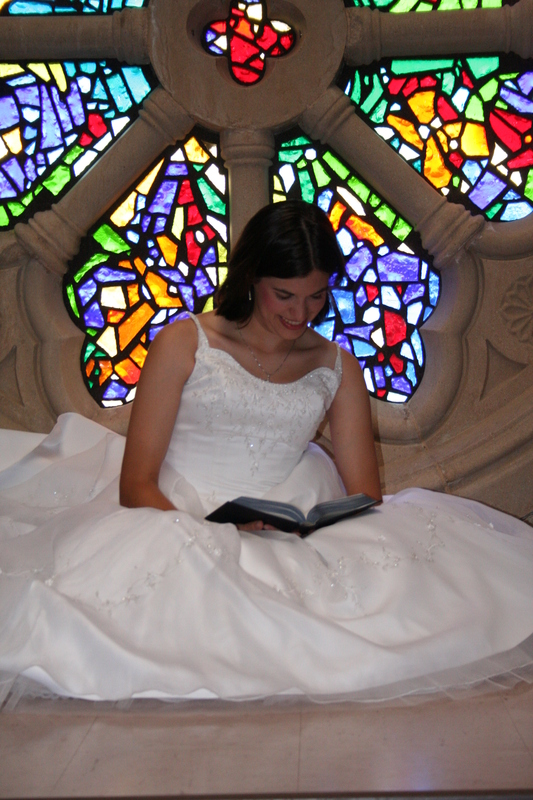 I could never truly grasp the concept that the church is the bride of Christ, until getting married. 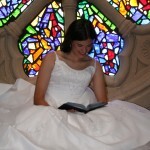 Being married has opened my eyes to so many aspects of God that I haven’t been able to comprehend before. God has used and is using Tim in many ways to teach me and draw me closer. And now that we have Hannah, the fact that Christ died on the cross for our sins has become even more personal. I look at my little baby and just think about Mary taking care of baby Jesus. I can’t even begin to understand the feelings Mary had, watching her son die for our sins. This Christmas has so much more meaning to me than any before because God has blessed us with Hannah.